How might highly automated commercial vehicles disrupt the trucking workforce and long-haul trucking industry? How are states and state trucking advocacy groups responding to this potential disruption? 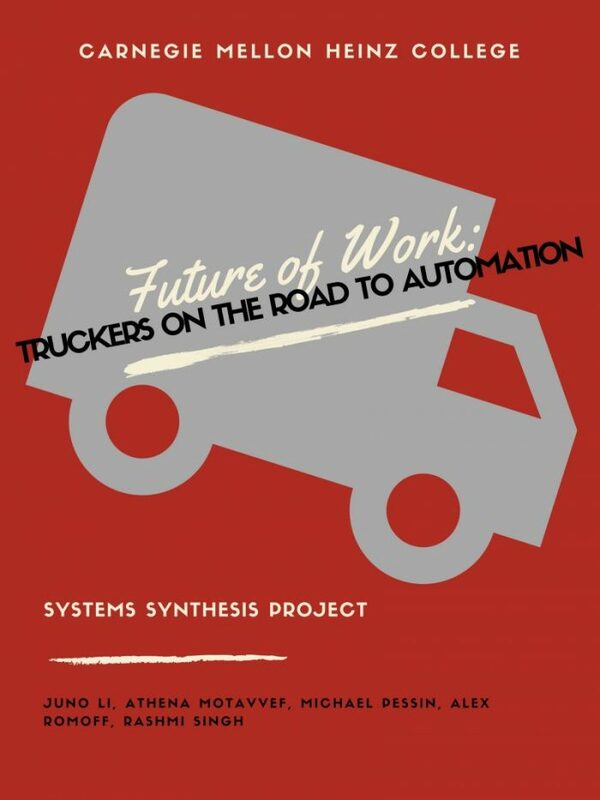 The next steps, concluded in the thesis, was that policy makers need to systematically manage the future of work for long-haul truckers through data collection. The data might include the exit and entry of drivers in the workforce, rate of displacement from automation and tracking new jobs created by automation. Data could also be collected on the drivers themselves, such as who leaves the industry and where they go. The team concluded that regulators and policymakers need to focus in the short-term on understanding how autonomous technology will be used in the long-haul trucking industry. This will aid policymakers in being empowered and informed when developing policy on how autonomous technology will be used in the long-haul trucking industry, including performance, safety and workforce issues.